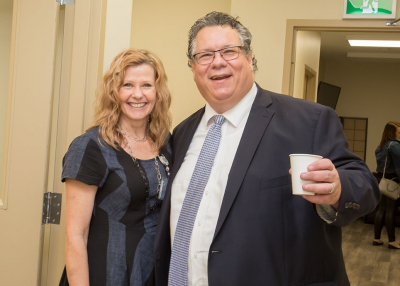 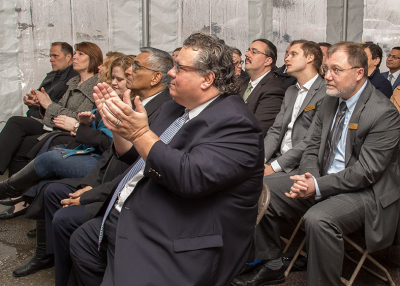 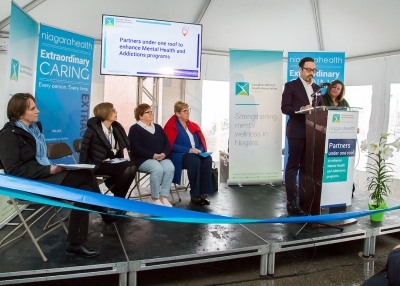 Monday’s celebration of two partners coming together under one roof to provide mental health and addictions programs is a result of extensive community consultation and engagement and the hard work of their teams. 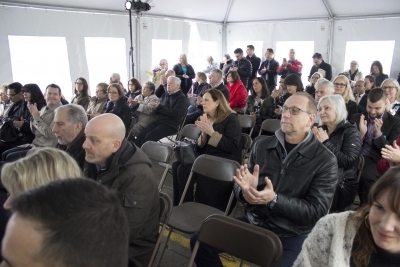 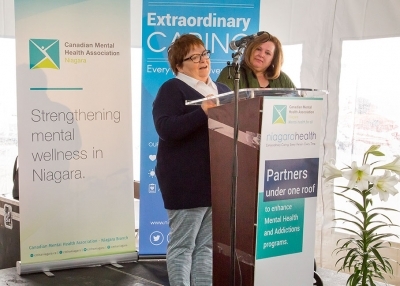 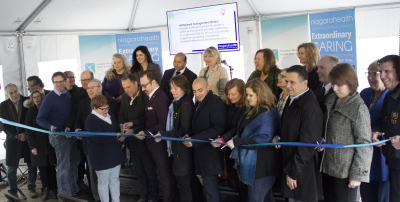 Canadian Mental Health Association (CMHA) Niagara and Niagara Health consulted with hundreds of clients, their families and community partners to help guide their planning for the new shared location at 264 Welland Ave. in St. Catharines. 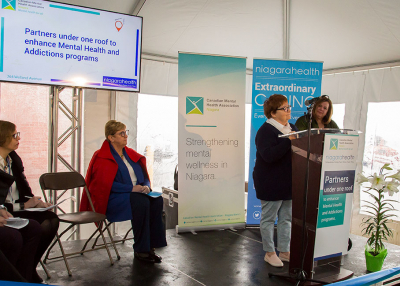 CMHA and Niagara Health team members were also key to the planning, and both organizations applaud their teams for their input and preparation to help make the move a success. 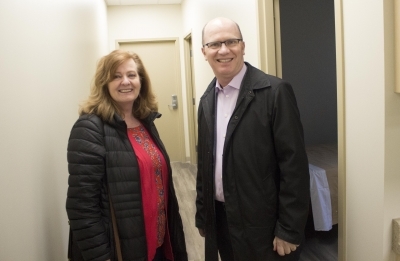 Cathy Carlucci, who was part of the Family Focus Group that provided input on the new location and its services, says she appreciated the opportunity to be part of the planning. 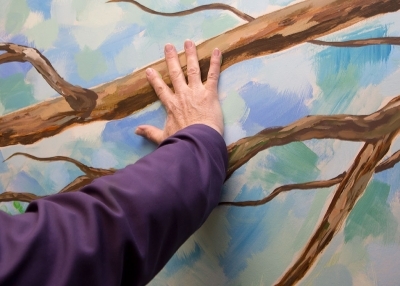 "To be asked for your input is huge. 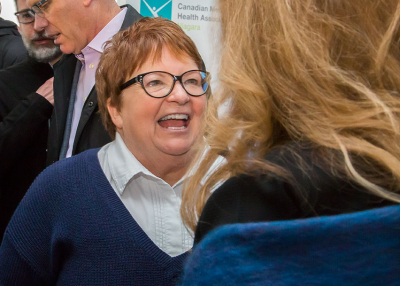 It's the people who receive the services, the people who are suffering, the people who are struggling who need to be heard. 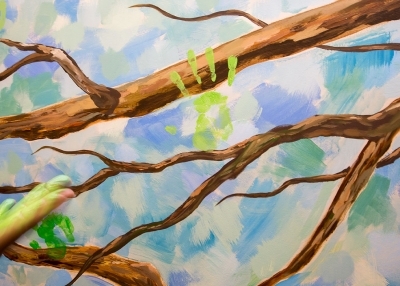 When somebody asks you what you think, what you need ... it means everything. 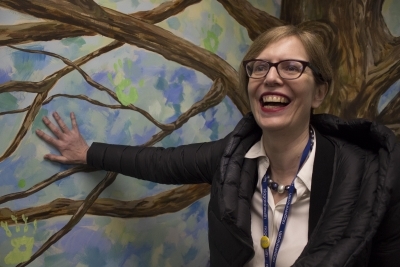 It gives you hope." 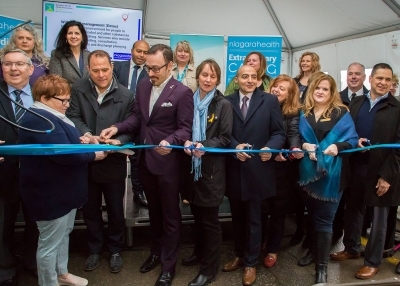 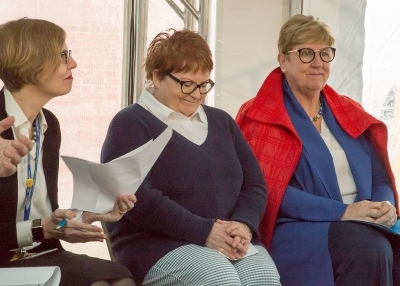 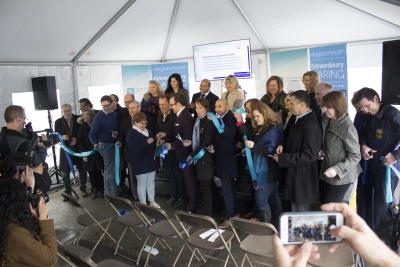 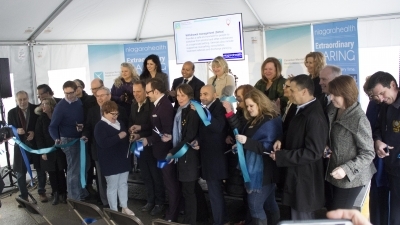 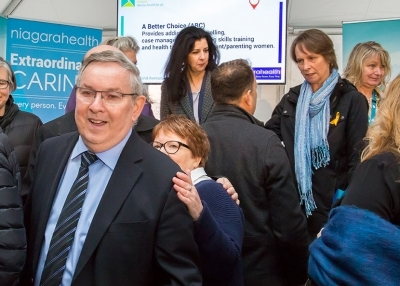 Programs provided in St. Catharines by CMHA Niagara and Niagara Health’s Adams Street Addiction Services will open to the community on Tuesday, April 16 at 264 Welland Ave. More than 100 people attended an Open House celebration on Monday. 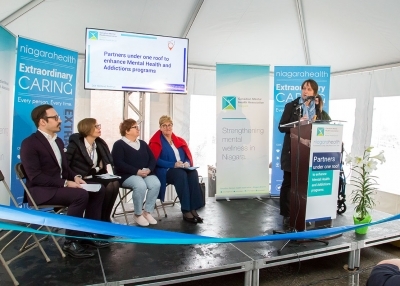 Partnering under one roof will improve care and better connect clients to mental health and addictions programs. 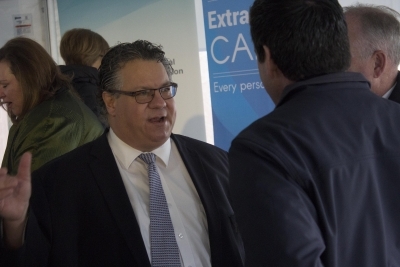 It will also help them more easily navigate the system. 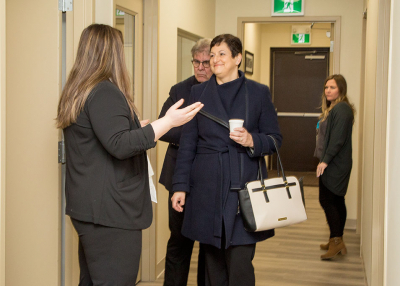 The purposely renovated space is brighter and larger and will provide a safer environment and fully accessible programs and services. 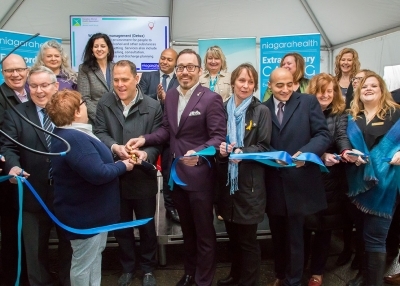 Niagara Health services moving to the new location are Men’s and Women’s Withdrawal Management (Detox), ABC (A Better Choice), the Out and About Methadone Clinic and Hepatitis C Satellite Clinic. 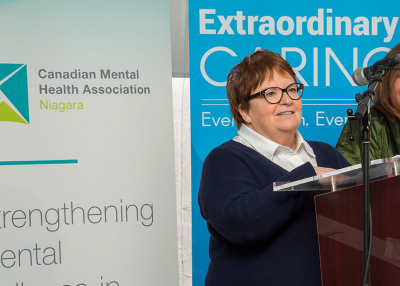 All Canadian Mental Health Association St Catharines programs and services, including the Safe Beds Program and Urgent Support Services, will also be provided at the new location. 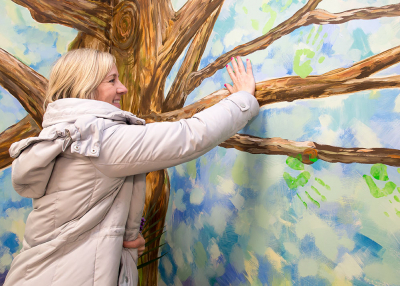 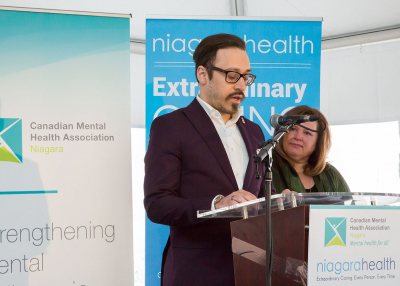 "CMHA is proud to be part of this innovative and collaborative partnership which will more effectively meet the needs of individuals in our community. 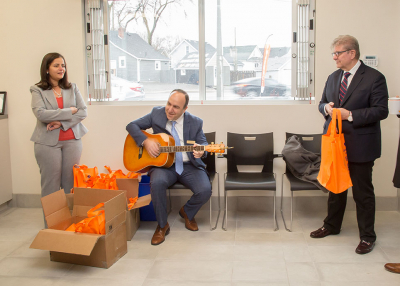 It has only been possible due to the support of our Boards, our staff, our community partners and feedback received from clients and their families, and we look forward to opening for service." 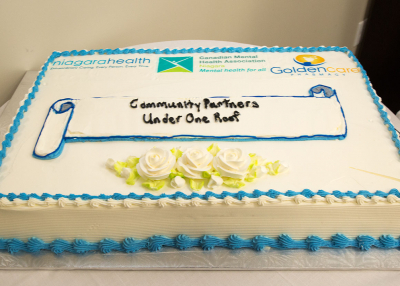 "We were so impressed by the feedback from the community, which helped to make this partnership possible. 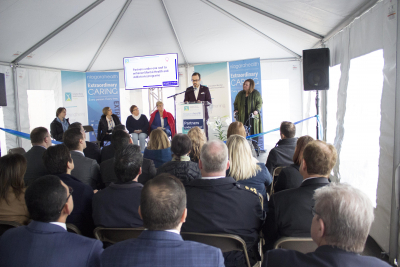 It was important to understand the needs of our clients, their families, community partners and our healthcare teams to help form our planning. 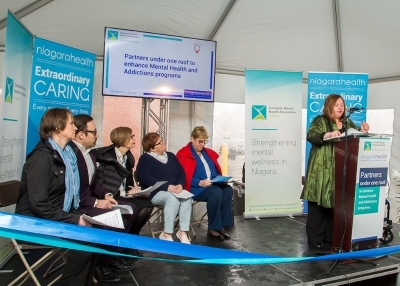 This opportunity is part of Niagara Health’s larger focus on increasing access to care for mental health and addictions programs. 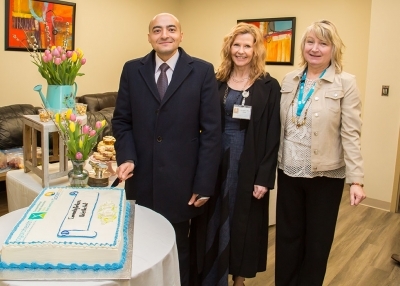 We have introduced a number of new programs and services over the past several years to provide care closer to home." 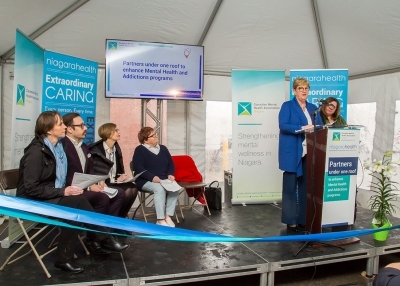 "Collaboration is vital to creating a patient-centred health system, and this is another example of the power of partnership. 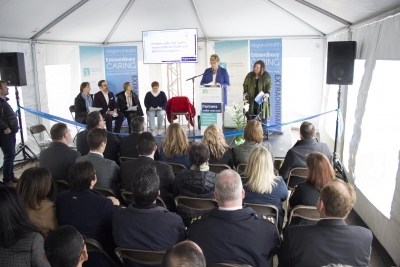 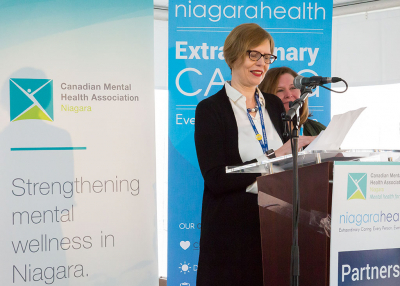 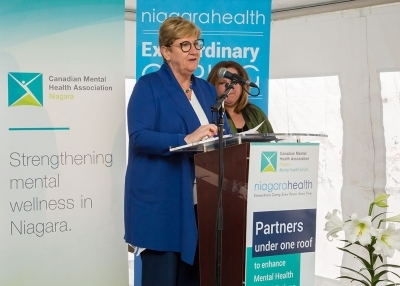 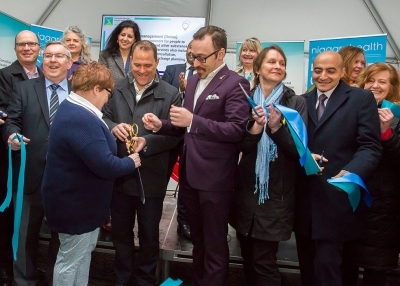 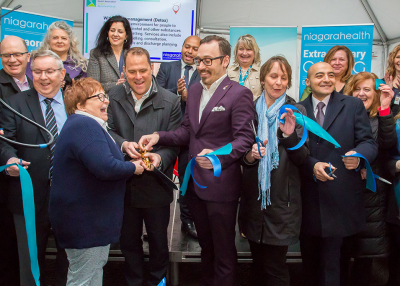 This exciting and innovative opportunity with CMHA and the many other partnerships we have forged in Niagara and beyond are proof that we’re better when we work together." 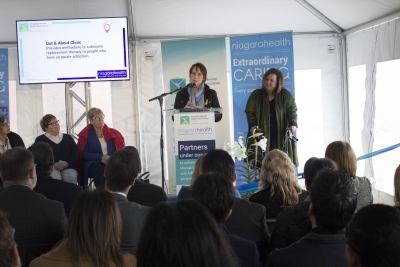 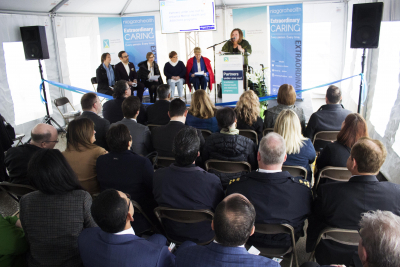 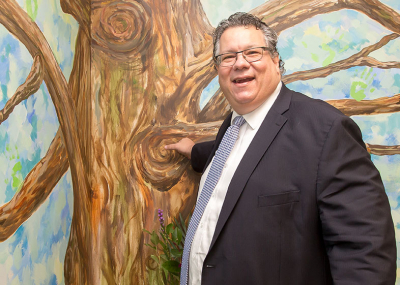 "The driving force behind this new location and our partnership with Niagara Health is the singular thought – ‘what is best for our clients?’ We are excited about what this will mean for the people that we serve every day and their families. 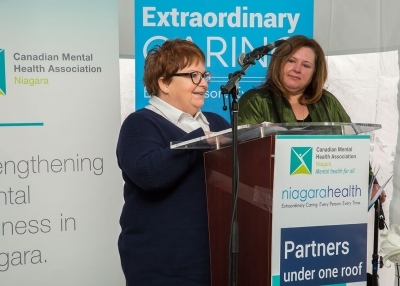 We are lucky in the Niagara region to have so many wonderful partners and organizations that we collaborate with and we hope this is just the start of new and innovative ways to help clients navigate the system and be able to receive the supports and services they need in a seamless, holistic way within the community." 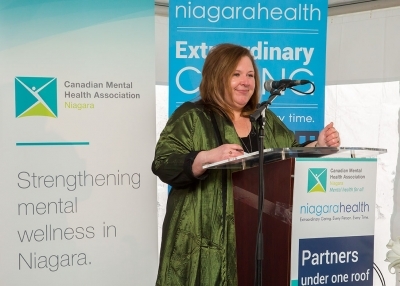 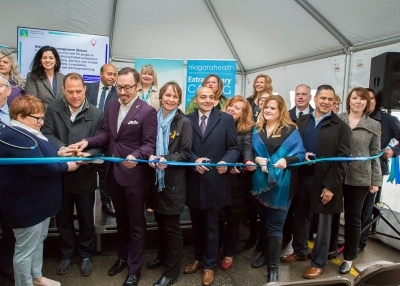 "Niagara Health is proud to partner with Canadian Mental Health Association Niagara on this truly unique approach to mental health and addictions care. 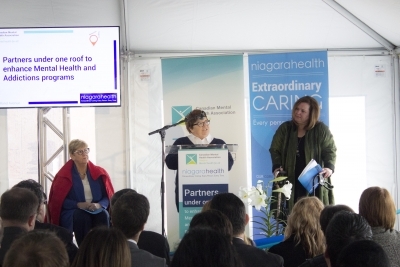 This collaboration is moving us forward in our journey to achieve our organizational vision of a Healthier Niagara." 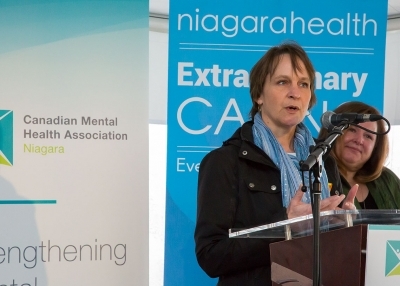 The community is encouraged to contact the Mental Health and Addictions Access Line if they have questions about mental health and addictions programs in Niagara. 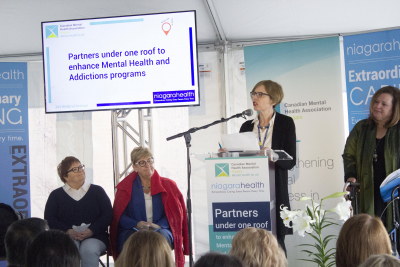 The Access Line, available 24/7, has information on more than 100 programs and can help make direct connections to services in Niagara. 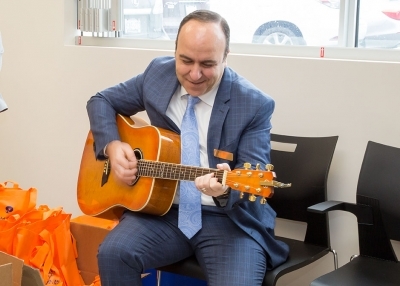 Call 1-866-550-5205.